Eight candidates filed by Thursday’s 5 p.m. deadline for the Jan. 29 special election to fill the Texas House seat vacated by Sen. Carol Alvarado, D-Houston. 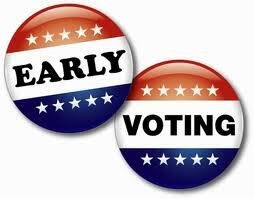 Early voting begins Jan. 14, a little more than a month after Alvarado won an open spot in the upper chamber. The field consists of six Democrats — Elias De La Garza, Oscar Del Toro, Ruben Gonsalez, Christina Morales, Alfred Moreno and Melissa Noriega — Libertarian Clayton Hunt and Republican Martha Fierro, the third-place finisher in last month’s race for Senate District 6, which overlaps with part of Alvarado’s old House district. Morales, the president and CEO of an East End funeral home, announced her candidacy the day after Alvarado’s win. Morales has assembled a campaign team made up of Alvarado’s staffers, including consultant Jaime Mercado, lead strategist Marc Campos and campaign manager Linh Nguyen. “I wanted a team that knew the district the way I know the district and would be capable of delivering my messages,” she said. Noriega previously held the House District 145 seat when her then-husband, Rick Noriega, was deployed to Afghanistan during the 2005 legislative session. The thought of running entered her mind in 2017, when former U.S. Rep. Gene Green announced he would retire, setting off a chain reaction that ultimately left the seat open. Part of Noriega’s pitch, she said, is that the special election winner will be sworn in amid a session that spans just 140 days — and she would be able to assimilate quickly because of her experience, she said. “There are still people there that I know from before,” she said, mentioning presumptive House Speaker Dennis Bonnen, an Angleton Republican. 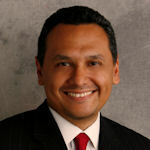 Noriega has also served as an at-large member of Houston City Council and worked for Houston ISD, while keeping an eye on the Legislature from afar. I’m going to say two things up front. One is that I’m not going to have time to do interviews before early voting starts. In the likely event of a runoff, I will see about doing interviews with the two finalists. And two, as someone who lives in HD145, I’m voting for Melissa Noriega. She’s a dear friend, she’s been there before, she was an excellent member of City Council, I trust her completely. I see no point in being coy about that. I fully expect this race to be very low turnout – candidates may have been thinking about running for weeks, but no one has been campaigning before now, and early voting starts in just over a week. Turnout will be higher in the runoff, as there will be more time for the campaigns to develop and focus voters’ attention. It’ll still be low, but it will be higher than the January election. This is one of those times where endorsements will make a difference, as they will serve as one of the few things people will be able to hear about the candidates before they have to vote. For those of you in HD145, which needless to say includes a lot of people who just went through the SD06 special election, it’s time to get ready to vote again. The Trib, which also has the lineup for the HD79 special election, has more. Gov. Greg Abbott on Friday set a Jan. 29 special election to fill state Sen. Carol Alvarado’s seat in the Texas House, hours after she was sworn in to the upper chamber. 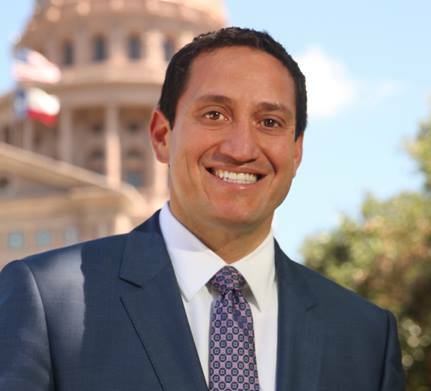 Alvarado, D-Houston, won a special election Dec. 11 to fill the Texas Senate seat vacated by U.S. Rep.-elect Sylvia Garcia, who was elected in November to replace U.S. Rep. Gene Green, D-Houston. Green, who first was elected to the House from the newly-created District 29 in 1992, announced he would not run for reelection last November. Candidates have until 5 p.m. Jan. 3 to file for the election, while early voting starts Jan. 14. Christina Morales, the president and CEO of Morales Funeral Home in Houston’s East End, announced on Facebook earlier this month that she would seek the seat. Martha Fierro, a Republican who finished third in the race for Garcia’s Senate seat, announced on Twitter the next day that she intended to run for the seat. Alvarado had held the seat since 2009, winning an open race after incumbent state Rep. Rick Noriega ran unsuccessfully for U.S. Senate. The district voted 67 percent to 29 percent in favor of Hillary Clinton over Donald Trump in 2016. Melissa Noriega, Rick Noriega’s wife, has said she is considering a run for the seat. She previously served on Houston City Council and held the District 145 seat in 2005 while her husband served in Afghanistan. See here for the background. 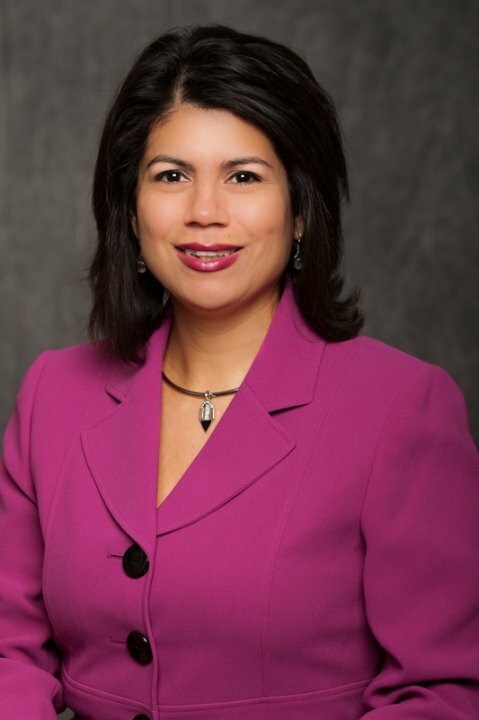 Alvarado was sworn in yesterday, making her resignation official. I’m glad to see this get on the calendar. If there is a runoff, HD145 (which is my district) should have representation again by mid-to-late March or so. As I expected, the special election for HD79 to succeed Rep. Joe Pickett was set for the same day. There are candidates lining up for that seat as well. Two candidates have emerged in the race to replace state Rep. Joe Pickett, who will step down from his post on Jan. 4: Art Fierro, chairman of the El Paso Community College board, and Dr. Michiel Noe, who is finishing his last term as a city representative. Pickett, who is the longest serving El Paso lawmaker at the statehouse, surprised many of his colleagues over the weekend when he announced that he will step down from his position on Jan. 4 to deal with health issues stemming from a 2016 cancer diagnosis. Gov. Greg Abbott has 20 days from Pickett’s announcement to call for a special election. Noe, who works as an OB-GYN, announced his intentions to run for the seat on Tuesday night. Noe has served as a city representative for eight years, with his final term set to end in January, when incoming representative Isabel Salcido is sworn-in. I figure it’s more likely than not that both races will wind up with more candidates than the ones named in these stories. They’re not wasting any time in HD79. I expect things to move quickly as well here in Houston. Ready or not, it’s soon going to be time for some of us to vote again. We will now need two special House elections to get to full membership. State Rep. Joe Pickett of El Paso will leave his post effective Jan. 4. Pickett, a Democrat, made the announcement Saturday morning that he will step down after having served in the Texas House since 1995. He said in a statement that he learned he had cancer just before the start of the 2017 legislative session and has since sought treatment for it. Pickett didn’t face any general election opponents this year, winning re-election in November with 100 percent of the vote. He noted in his statement that he would return recent campaign contributions in light of his upcoming departure from the Legislature. During the 2017 legislative session, Pickett held the 11th highest seniority in the Texas House and served as chair of the Environmental Regulation Committee. He previously chaired other House committees during his tenure including the Transportation, Defense and Veterans Affairs, and Homeland Security and Public Safety Committees. Rep. Pickett was definitely one of the more powerful members of the House thanks to his seniority. He will be missed as Democrats try to exert more influence with their largest caucus since 2009. I wish him all the best with his treatment and recovery. Wait, there’s another special Senate election coming up? Yes, there is. And you thought (okay, I had thought) SD04 was the last election till November. The field is taking shape for the special election next month in Senate District 28, with at least five people announcing they’re running to replace Robert Duncan, who stepped down to lead the Texas Tech University System. The filing deadline was 5 p.m. Friday, and the secretary of state’s office plans to release an official list of candidates later this week. Among those who’ve said they’ve filed: Republican state Rep. Charles Perry; Jodey Arrington, a former Texas Tech official and adviser to President George W. Bush; former Sweetwater Mayor Greg Wortham, a Democrat; former state Rep. Delwin Jones, the Republican whom Perry unseated in 2010; and Wolfforth resident Epifanio Garza. Perry and Arrington are the early favorites, with both men getting into the race relatively early and each heading into July with about $200,000 in the bank. They’re expected to vie for GOP voters, with Perry tapping the tea party support he received during his run for the state House. Last month, Gov. Rick Perry announced the election will be held Sept. 9, surprising some local Republicans who assumed he’d schedule it for November. Lucy Nashed, a spokeswoman for the governor’s office, said he picked the earlier date to ensure the winner could be sworn in before the beginning of the legislative session, even if a runoff occurs. Remember how long it took Perry to get around to scheduling the SD06 special election after the death of Mario Gallegos? God forbid a Republican Senate seat should sit open one minute longer than necessary. This is a Republican seat, but unlike in SD04 there is a Democrat running, and if you read this profile of Greg Wortham, you’ll agree that he’s a Democrat worth supporting. Bill White scored 28.74% in SD28 in 2010, which needless to say isn’t close to winning but which ought to be good enough to get into a runoff. I don’t know how active Battleground Texas is in Lubbock – unfortunately, a Google search of “Battleground Texas Lubbock” and a look at the Lubbock County Democratic Party webpage and Facebook page don’t provide much fodder for optimism – but to whatever extent they hope to gig turnout for Wendy Davis and the rest of the Democratic ticket in November, they have a great opportunity to field test their methods next month, in the service of maybe getting a good Democrat into a special election runoff. I hope they take advantage of it. [Monday] morning, two Texas voters filed a suit in federal court challenging the state senate map drawn by the Texas Legislature on the grounds that it violated the equal protection guarantees of the Fourteenth Amendment by using total population rather eligible voters to draw districts. The plaintiffs in the case are backed by the Project for Fair Representation, which also helped back Shelby County’s challenge to section 5 of the Voting Rights Act as well as efforts to overturn affirmative action policies at the University of Texas at Austin. The Center’s press release announcing the new Texas suit can be found here. The plaintiffs argue that the current Texas senate map (Plan S172) must be redrawn using “eligible voters” rather than “total population” – the measure long used by the Texas Legislature – because the latter now results in districts with significantly differing numbers of voters. By not using eligible voters, the plaintiffs say the Texas Legislature violated the “one-person, one vote” principle of the Constitution’s Fourteenth Amendment by allowing some voters’ votes to count for more than those of others. In Texas, the major driver of disparities in the number of eligible voters is the high number of non-citizens in parts of the state – mainly its urban and suburban cores. For example, in places like Dallas and Houston, commonly accepted estimates are that around half of adult Hispanics are non-citizens. Of course, disparities also can exist for any number of other reasons, including higher numbers of children under 18 in fast growing parts of the state or a larger number of people who are unable to vote because of felony convictions. However, differing citizenship rates are, by far, the largest driver of disparities in the number of eligible voters. How would drawing districts using “eligible voters” change the current map? 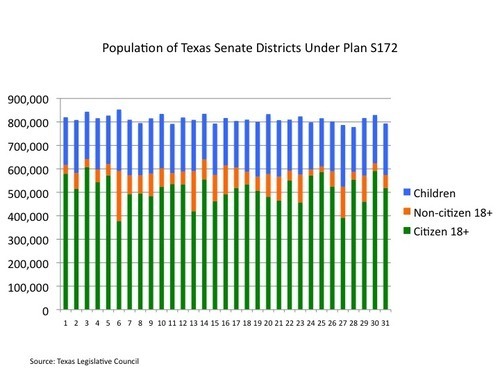 At present, Texas senate districts have a target population of 811,147 people. If courts were to require maps to be drawn using some measure of eligible voters, the target size of districts also would change. For example, although Texas has over 25 million people, its citizen voting age population in the most recent Census Bureau report was estimated to be just 15,583,540. Using CVAP to draw districts would mean that each district would have a CVAP target of 502,695. That target population would require significant reworking of districts that presently have large Hispanic populations. In the Houston area, for example, SD-13, represented by State Sen. Rodney Ellis, has a CVAP population of only 419,035, and SD-6, represented by State Sen. Sylvia Garcia, fares even worse with just 377,505 citizens of voting age. Likewise, in the Dallas area, SD-23, represented by State Sen. Royce West, has just 456,955. Even with permitted deviations from the target population, these districts would need to add population, mostly likely by drawing from neighboring Anglo-dominated districts. Though those people might or might not be Anglo, the need to add large numbers of people mean the demographics and electoral performance of the districts could change materially. In fact, the need to add people might very well jeopardize the protected status that those districts currently enjoy under section 2 of the Voting Rights Act. In other words, this could be a very big deal not only for Hispanics but also potentially African-Americans. There could be practical impacts as well for legislators since urban districts would likely end up with far greater numbers of total people – who, although they might not be able to vote, still have need for constituent services – and be much larger physically as well. Wasn’t there a similar case recently about the same issue? Yes. In fact, it involved many of the same players. In Lepak v. City of Irving, the lawyers in the Texas senate case – also backed by the Project for Fair Representation – represented Irving residents in arguing that the city’s new single-member council district map was unconstitutional because it had been drawn using total population rather than CVAP. Both the district court and the Fifth Circuit ruled against the Irving plaintiffs, citing the Fifth Circuit’s ruling in Chen v. City of Houston, which held that the question of whether to use total population or CVAP was a political question and thus not reviewable by courts. The Irving plaintiffs sought to have the decision reviewed by the Supreme Court, but the high court declined last April to take the case. However, the Texas senate case potentially represents another opportunity to have the Supreme Court take up the issue since any appeal would go directly to the Supreme Court as a matter of right. More background on Lepak here. There’s more at the link, but basically this is a nuisance action being brought by some professional grievance-mongers. It would serve them right not only to have the case dismissed with prejudice, but also to be assessed full court costs and attorneys’ fees for wasting everyone’s time. The Observer and Rick Hasen have more. Sylvia Garcia has been sworn in to succeed the late Mario Gallegos in SD06. 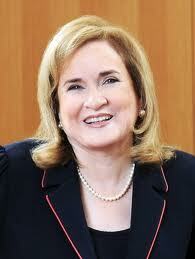 Sen. Sylvia Garcia, D-Houston, took her place in the Texas Senate chamber Monday to succeed the late Mario Gallegos. “We have 31 members. We are complete,” said Sen. Leticia Van de Putte, D-San Antonio. Garcia, who is the seventh woman serving in the current Senate, expressed her thanks to her family members and voters in brief remarks. “I believe in short and sweet,” she said. Monday afternoon, Lt. Gov. David Dewhurst named her to the following committees: Government Organization, Intergovernmental Relations, Jurisprudence and Nominations. Texpatriate, who has a photo of the swearing-in, was the first person I saw to report this. Congratulations, Sen. Sylvia Garcia. Go and do the great job everyone knows you will do.